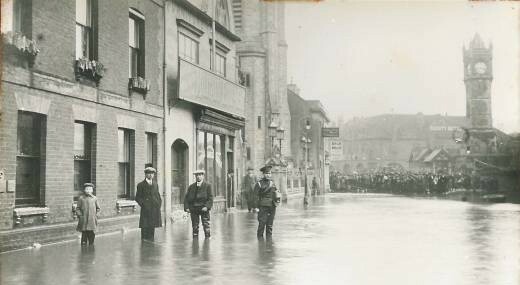 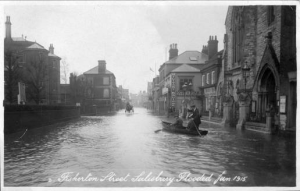 Early in January 1915 heavy rain resulted in three deluges of flood water affecting Fisherton Street and adjacent housing area, even spreading over the floor of the Cathedral. 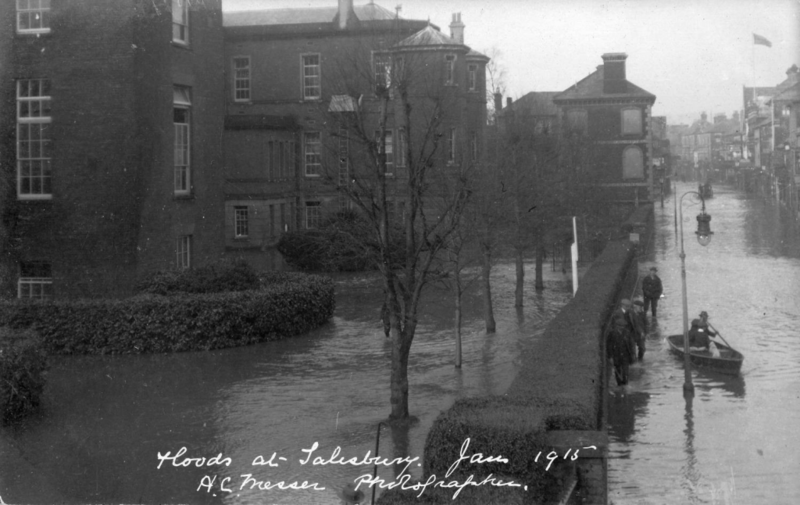 The ground floors of the Infirmary were flooded too causing not only expense but horrible conditions in the hospital. 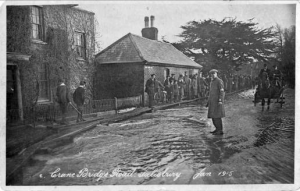 Several cases of cerebro-meningitis were admitted and isolated before removal to the isolation hospital. 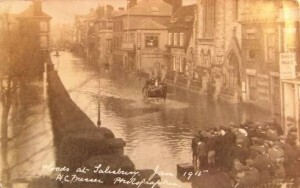 Soldiers were called in to help with the aftermath of the flooding.